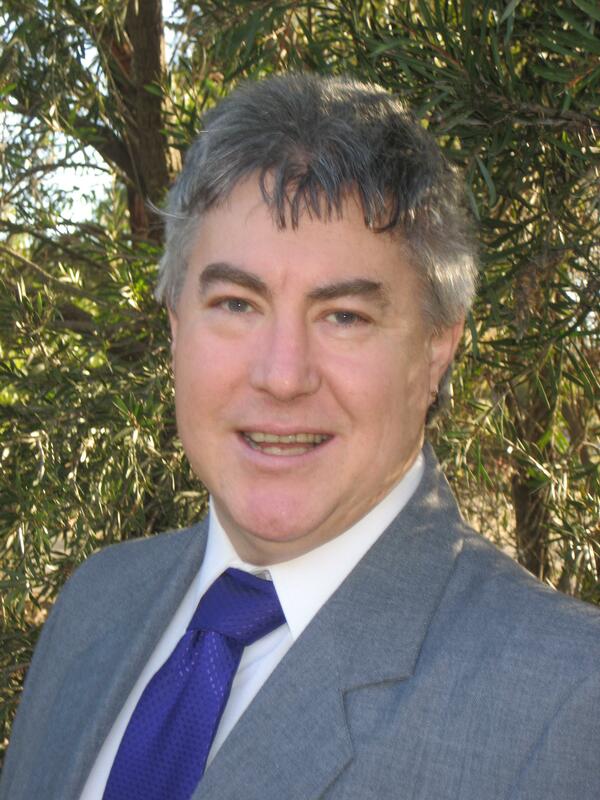 The Australian Democrats in the ACT have announced their candidate for Fraser for the 2013 Federal election. Darren was endorsed last year by an Australian Democrats members’ ballot for the Senate but made a strategic switch to Fraser in the last month. Darren has drawn pole position on the ballot paper. “I’m at the top of the ballot paper, so people should think of me as a top bloke in Fraser and vote accordingly.” Darren concluded. Darren Churchill, 48, has lived most of his life in the Canberra region. Originally from Goulburn, he now lives in Kaleen. Darren has a Bachelor of Economics from the University of Newcastle and a Graduate Diploma in Education from the University of Wollongong. He has taught in secondary schools in both NSW and the ACT. Darren has also worked in the music industry doing sound and lighting, and in the early 1990s was a band manager. Currently, Darren works as a political and fitness consultant. As a Christian (Anglo-Catholic), he has strong views on human rights, equality, social justice and inclusiveness. In the long tradition of the Australian Democrats, he stands with the voiceless the marginalised and the oppressed in the fight for justice and equality. Darren is greatly concerned about animal welfare and food labelling. He was active as a volunteer in the campaign to reinstate South Sydney Rabbitohs to the NRL, and was active in the Canberra Cosmos and Belconnen Blue Devils Supporters Groups. He supports the proposal for an A-League team for Canberra. Darren has been outspoken on matters of privacy, civil liberties, drug law reform and sustainable population. Darren stands for getting the balance right in legislative decisions. The result needs to be the right mix for the environment, the economy and social justice. He is a straight talker who represents the core Australian Democrats values of honesty, tolerance and compassion. Darren will bring the Australian Democrats’ 31 years of legislative experience to the House of Representatives, continue the same process of working for good legislative outcomes and offer practical, balanced solutions for Sustainable Prosperity. The Australian Democrats have launched their campaign slogan for the September 7 federal election: Sustainable Prosperity. Australian Democrats National President, Darren Churchill, says that Sustainable Prosperity must be the vision for Australia’s future. “Some preach that economic growth is the holy grail, some small government and some environment over humanity. The Australian Democrats believe that Sustainable Prosperity encourages economic development, wealth creation, environment protection, humane justice and social advancement. “With Australia’s economy linked to the world there are no simple solutions, and the challenge for government is in negotiating the Sustainable Prosperity path. “Australia already welcomes investment in solar and wind power, but must more actively encourage it, and if this means coal-fired power stations will be little used or retired early, it will be a plus in dealing with climate change. “Our manufacturing industries, tortured by the recent high dollar, can and must be revived to lead the world in innovation and excellence. We are also a trusted source of quality food exports. “Prosperity will not however come as a result of increasing population. Every new person requires $200,000 worth of infrastructure and Infrastructure Australia estimates the nation already has an infrastructure backlog of up to $300 billion. “Economic sustainability, properly managed and definitely shared to reduce the gap between rich and poor, promises to lift more people out of poverty – an objective we should all embrace. “A vote for the Australian Democrats is a vote for Sustainable Prosperity for all Australians,” Mr Churchill said. Australia faces serious environmental degradation as a consequence of increasing human population and urgent action must be taken to curb this, say the Australian Democrats. Announcing a new population policy endorsed by a membership ballot held this month, National Campaign Director, Darren Churchill, says the party will closely examine the population policies of other parties in determining preference flows in next year’s Federal election. “Despite developers arguing for population increase and benefitting their own hip pockets as a consequence, taxpayers bear the cost of destruction of our unique natural environment, reduced housing supply and shortages of infrastructure. “Our new policy argues for an increase in the nation’s humanitarian intake balanced by a scaling back of the immigration intake to environmentally sustainable levels. “The baby bonus and family leave provisions should be scaled back with savings reallocated to education and family planning. Because the Australian Democrats believe strongly in our national obligations to the developing world, some of this money should also be diverted to further increases in our foreign aid budget particularly for family planning and contraception. “And rather than bringing in more migrants for labour programs, we want to see an expansion of retraining programs: Australia’s 1.5 million unemployed and underemployed must be the beneficiaries of any mining boom. “We know the big end of town won’t like this policy, but the challenge of population is simply too important to ignore,” concluded Mr Churchill. The Australian Democrats have launched a new campaign based on the need for limiting the growth of Australia’s population, while still meeting our international humanitarian obligations in regards to asylum seekers. National President, Darren Churchill, in announcing the new campaign, called on other parties to stop ducking the issues when it comes to population limits. “We know that some will accuse us of racism for recognising the environmental limits our continent imposes, but such detractors are wrong because we are simultaneously conducting a campaign in support of refugees. The two issues do not have to be in competition. “To the contrary, we say that Australia can easily double its humanitarian intake if we are prepared to substantially cut back the numbers of business migrants entering the country. There are 1.5m unemployed or underemployed Australians, and they should instead be given the necessary training to allow them to fill job vacancies, for instance in the mining industry. “With Labor and Liberal Parties playing variations on a theme of trying to avoid our asylum seekers obligations there is a great need for parliamentary representation from a party that wants to uphold those obligations but which recognises – unlike the Greens – that we can’t take all comers. “However, as a nation we must also recognise that we cannot grow our population endlessly. Only 6% of Australian land is arable, and so much of that prime agricultural land is instead growing houses instead of crops or is being used to locate waste dumps, all as a consequence of population growth. “The Australian Democrats is in the company of respected groups such as the Public Health Association and the General Synod of the Anglican Church of Australia in calling for limits to population” said Mr Churchill. The Australian Democrats have refuted the lies being spread by the ACT Greens about preferences and the willingness to be negotiators, accusing the Greens of being unworthy of voters’ trust. “But it’s all about who is prepared to act in the interest of the ACT. Being prepared to cross the floor against your party line in the interest of your constituents is what ‘keeping the bastards honest’ is all about. Kate Lundy is bound by her party rules and would be expelled for crossing the floor. The Greens can’t be trusted. Over two decades we have found that the Greens have misrepresented the Democrats again and again. “As for the claim that the Greens want immediate action on the environment there must have been some latter day conversion. But I doubt it – although the Rudd Government’s ETS was flawed, it would have been a start, it would have been better than nothing, but the Greens voted it down. “By contrast a list provided to me by our former parliamentary leader shows where the Australian Democrats achieved environmental outcomes in negotiations with the previous government,” said Mr Churchill. We negotiated renewable energy for thousands of off-grid, remote communities that previously relied on diesel for power generation. And two extensions of the rooftop PV grants. We negotiated $400 million to leverage large scale energy efficiency in big industry. “If I am elected, I will continue the good work of the Australian Democrats. We need action, not just talk on the environment. I will deliver, because you deserve better!” Mr Churchill concluded. Nuclear power still costs the earth and is not a solution for reducing greenhouse gas emissions say the Australian Democrats. 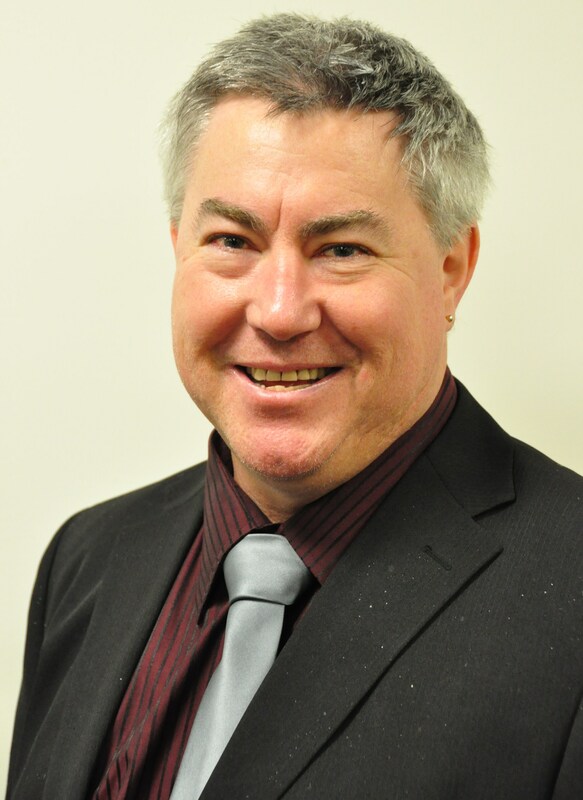 The Australian Democrats’ lead candidate in the ACT, Darren Churchill, who will be attending the Walk for Warming rally at Parliament House tomorrow, says that only genuine ecologically sustainable energy sources can make the difference. “Those advocating nuclear power do not take all stages of the nuclear fuel cycle into account, such as the damage caused by uranium mining. The expansion of the Roxby Downs mine in South Australia on its own will account for a one percent increase in Australia’s total greenhouse gas emissions. “With less than a week to go before the Federal election, today will be an opportunity for candidates to pin their colours to the mast, and in my team there is 100% agreement that climate changes is human induced and that we need urgent action. “Voters need assurance that they are electing candidates who base their views on science and not economic greed or religious faith. “Tony Abbott’s latter day conversion to belief in climate change is electoral pragmatism, and comments last week by the Liberal member for Bradfield in NSW that potential for low-carbon technologies was rhetoric should give voters pause for thought. “The Labor Party pandered too much to business in their ETS, and The Greens were useless by voting it down completely. Had the Democrats been in the parliament we would have negotiated with the Government to improve the package and get something through. “With the Liberal Party wanting to slowly greenhouse gas us to death, the Labor Party wanting another talkfest and the Greens just blocking, Australians certainly deserve better than what they have offered. With the Democrats back in the parliament Australians can be sure that actions to deal with climate change will supported and always improved,” said Mr Churchill. News programmes tonight reported that Senator Humphries had voted against the CPRS legislation in the Senate today, despite having stated previously that he would cross the floor and support it. “The Liberals also are complaining about the cost of the CPRS. However, respected economists such as Stern and Garnaut, as well as the UN IPCC and CSIRO have all shown that not acting will cost far more than acting now” stated Mr Churchill. “If I was in their position I’d have voted for it and then worked to fine tune it once it is in place. With their approach they lose the ETS, or any substantial “green” policy for a considerable period of time as well as the obvious risk of a double dissolution with less varied representation after the election. It is a very disappointing result” Mr Churchill stated. “The ACT Democrats have long supported establishing concrete targets for the ACT to reduce our greenhouse gas emissions. But we really need national legislation on emissions trading. The Australian Democrats will continue to work toward this result and our candidates will fight for effective climate change action whenever the election is called” Mr Churchill concluded. (1) The Australian Democrats have made a solid reputation for being the negotiators in parliament. Between 1977 and 2008, more legislation has been amended and improved in the Senate by the Australian Democrats than by any other minor political party in Australia’s history. The Stanhope government is neglecting community sporting facilities says ACT Democrats President, Darren Churchill. Mr Churchill inspected local playing fields and spoke with some locals over the weekend. “The situation in Kaleen and Giralang is appalling. But other parts of Belconnen and Gungahlin are no better.” declared Mr Churchill. “People have told me of sporting fixtures being moved to the grounds of private schools. If the private schools can maintain their fields, why can’t the government maintain community fields? It is time for the Government and the Assembly to clean up its act – clean up the ACT!” Mr Churchill emphatically concluded.